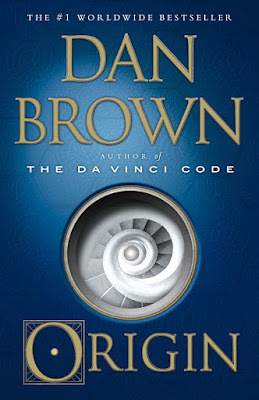 Origin is the fifth Robert Langdon novel, in which we follow the distinguished Harvard professor as he uses his extensive knowledge of art, literature, and symbology to solve the details surrounding a murder. In this novel, Edmund Kirsch has determined the origin of life and puts together a presentation which will reveal his discovery. But before his theory can be unveiled, an assassin kills him and the presentation is lost. Robert pairs up with the beautiful Ambra Vidal, fiancee to the Spanish prince, and Edmund’s sophisticated AI, which goes by the name Winston, to uncover the password that will unlock Edmund’s presentation. And then they sit and watch the presentation. I haven’t actually finished this novel yet—my Kindle says I’ve read 90% of it—but I’ve been slogging through it for so long, I figured it was finally time to call it. I read for entertainment, so I’m not even going to touch the theology in this one. Usually, there’s a dead body pretty early in a Robert Langdon novel—if not in the first scene. But for Origin, there was tons of back story and build up before any sort of mystery even began. The action didn’t really start until 200 pages in, but even then, the pacing was slow. The first clue is laughably contrived. And then the final reveal takes up probably another third of the book as the characters literally sit down and watch the presentation. Seriously, this event that Edmund put together would have lasted at least four hours if it hadn’t gotten interrupted. I hate giving bad reviews, but this book was painful to read. Perhaps die-hard Dan Brown fans will enjoy it, and those who haven’t read any of his novels may find the story-line less formulaic. I love the character Robert Langdon and sincerely hope he’ll have more exciting adventures in the future… but I’ll make sure to read plenty of reviews before diving in.